← Finally Decided on a Guest Book…And it’s ordered! Today is all about a wonderful Pinspiration idea (one that I won’t be able to carry out and one that Martha Stewart carries out flawlessly…of course), that is totally adorable for that mismatched vintage style wedding! Teacup candles look incredibly easy to make, and are really cute. You can find random tea cups in a lot of antique stores, Goodwills, and Salvation Army shops. There are going to be teacup candles at our wedding, but due to the venue’s fire laws, we are using battery operated candles instead. All of the ambiance with none of the burning-down-of-the-barn. We got our teacups at a church’s rummage sale. If you know any little old ladies you can hit up, I bet they have teacups they’d be willing to part with! I have given a link for Martha’s tutorial, but I think you should check this one out too, they give lots of helpful pictures along with their how-tos! 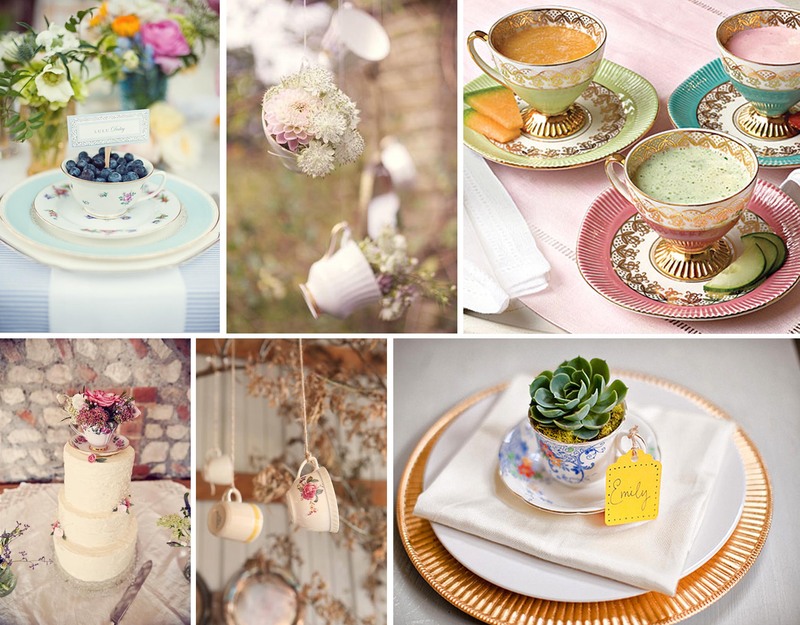 For today’s Pinspiration I thought I’d show a bunch of other ways you can incorporate teacups into your wedding! The Succulent Teacup Favor is a fun DIY! Check it out!